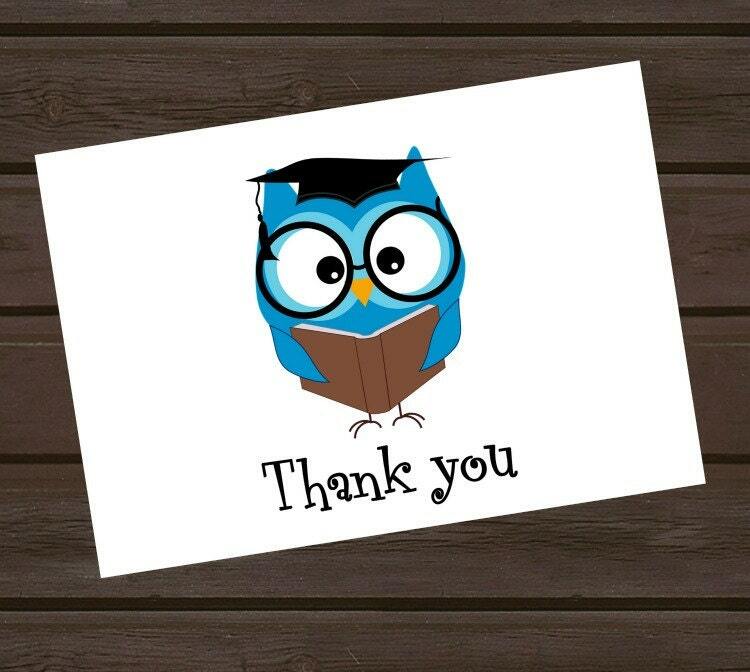 This listing is for 8 graduation thank you cards featuring cute blue owl in his mortar board. Cards measure 3.5" x 5" and are printed on heavy weight (80#) white linen cardstock and come with white linen envelopes. Inside is blank to add your personalized note. Please allow 5-7 business days for order processing. Orders shipped within the US are via US First Class mail. All international orders are by US International First Class Mail.